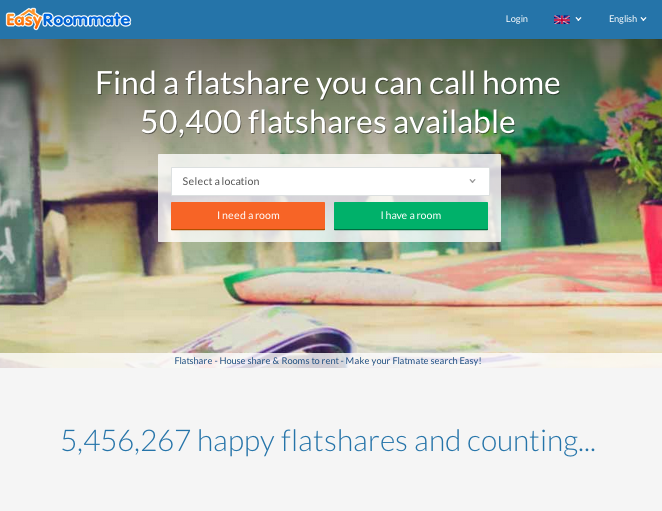 Easyroommate.com helps users find a property, or lease their own – and is one of the most widely used accommodation sites on the web. Those looking for flats to rent, rooms to rent or even a houseshare can search by location and price to find the most suitable property for them. Although it’s free to advertise your property and search for accommodation, an advanced search requires a premium membership – which will cost you. Easyroommate.com is ideal for those looking for somewhere to stay, as well as those with somewhere to offer. With an easy to use website, you can filter down your options and find somewhere suitable for you based on your preferred location, property type and residents. Go back to our Long Term Accommodation in London category to find more websites offering accommodation solutions in London.